festive tunes | Is there any wine left? My mom is in town visiting and she’s in the kitchen testing out recipes for her holiday party. Anyway, we wanted to put on Christmas music, but Jennifer was a grinch! She said she didn’t want to listen to it because it is so repetitive. And actually, she’s right. It’s only December 9 and I am already tired of Rocking Around the Christmas Tree and I’m Dreaming of a White Christmas. Enter Holidays Rule, my new favorite collection of Christmas tunes. Have you all heard it? I wanted to tell you about it just in case you haven’t — everyone from Paul McCartney to Fun. to The Civil Wars is on the album singing traditional Christmas songs with their own twists. Its perfect for an evening at home in the kitchen or at a big holiday party. Hi Katie, just ran across your site. 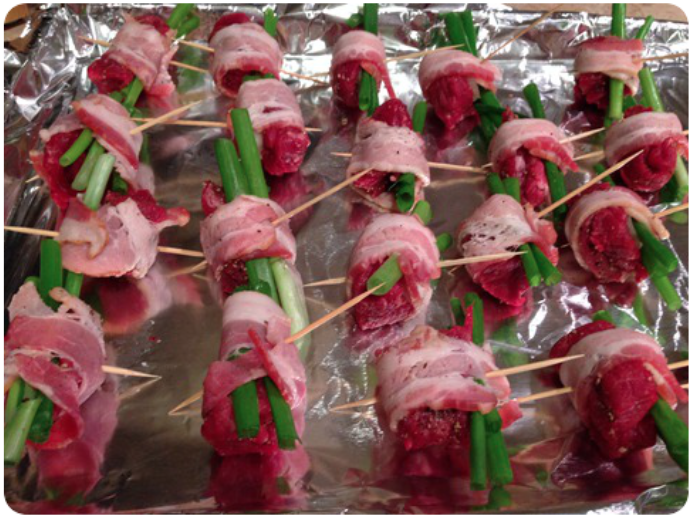 Could you share the prep and cooking details of these tenderloin bites? Love to try it. This looks yummy.